The Cottleville Firefighters Outreach offers programs that help families in our community. Click on the images to learn more about each program. For one special day, these children get to experience what life at the firehouse is like. We provide financial aid for students who are attending college to become first responders. 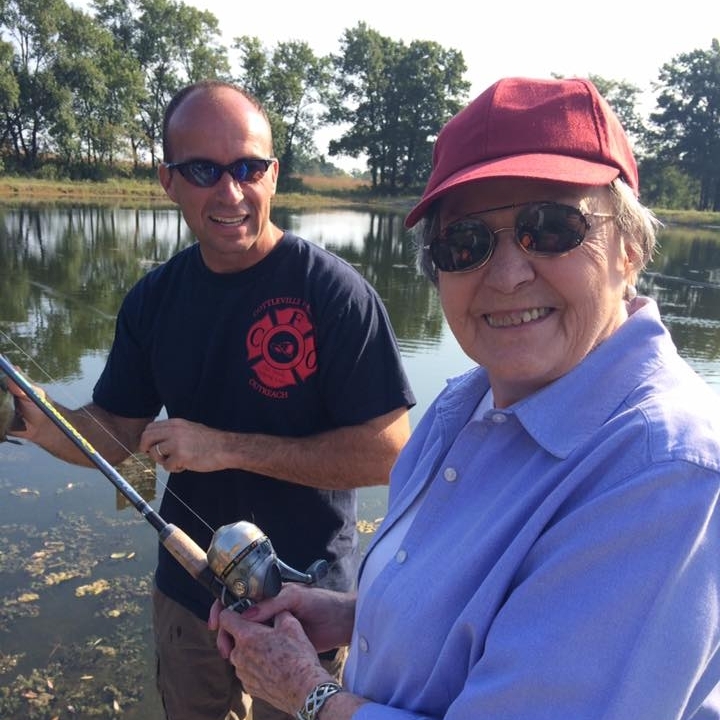 We partner with local assisted living communities to provide a fishing experience for their residents. We provide the Francis Howell School District with fuel cards to distribute to families and students that have difficulty getting to school. We provide brand new winter coats to children in our community. Throughout the year, we give our members time and financial assistance to other nonprofits in our area. We provide smoke detectors to residents who cannot afford to replace or install their own. We help families going through an unusually difficult time with financial aid, shelter, and other needs. 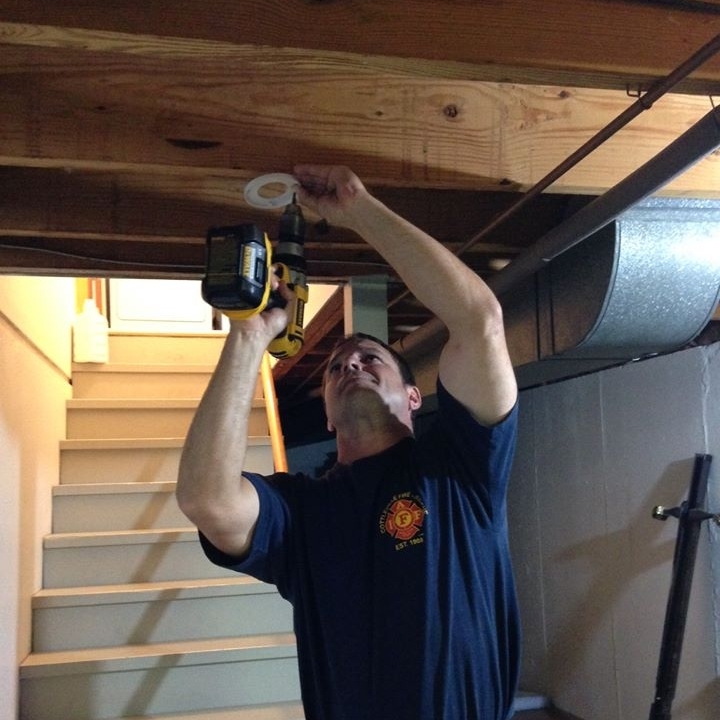 We assist families in our Fire District with home repair and improvement projects when they are unable to afford them. Every year, our members collect donations for the Muscular Dystrophy Association. Our "Firefighter On the Roof" event is one of our biggest MDA fundraisers.